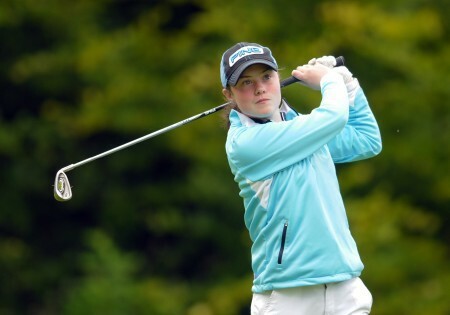 World number 1 amateur golfer Leona Maguire has been voted Irish Independent Young Sports Star of the Year. Voting opened to the public on 24th November and the 21 year old from Ballydonnell in Co Cavan received the highest number of votes when voting closed on 8th December. Leona is the first Irish female golfer to hold the number 1 spot in the world. Her stellar achievements have been recognised throughout the golfing world, as she picked up the Mark H McCormack Medal as World Number 1 earlier this year and in the same month received the 2015 ANNIKA Award as the best golfer in American women's college golf. Now 21, she gave up a promising swimming career at the age of 9 to concentrate on golf. It's proved to be an inspired decision. A native of Ballyconnell in Co Cavan, she finished third to her twin sister and current Duke University team mate Lisa in the Under-12 World Golf Championship at Pinehurst in North Carolina in 2006 and hasn’t looked back. Following a string of domestic successes in 2007, she won the won the French Under 18 International title in 2008 at the age of 13 and beat Lisa to claim the Irish Ladies Close title later that season before both sisters represented Europe in that year’s Junior Ruder Cup. Since then her rise has been meteoric bringing her more than 20 amateur titles and a string of accolades including the 2015 ANNIKA Award and the Mark H. McCormack Medal given annually to the number one ranked female amateur player in the world. In 2009, Leona helped Ireland win the European Girls Team Championship fo the first time and won the Helen Holm Scottish Women’s Open Amateur Stroke Play at the age of 14. Winner of the French Under 21 title in 2009 and 2010, she (along with her sister Lisa) became the youngest to compete in the Curtis Cup in 2010. In 2011, she won the Irish Women’s Strokeplay, became the youngest winner of the British Ladies’ Open Stroke Play and won Portuguese Women’s Amateur Open by 15 shots. She retained the Irish Women’s Strokeplay title in 2012, when she was also a Curtis Cup winner. Her performances for Duke University on the US collegiate circuit made her the first Irish woman to reach No 1 in the World Amateur Golf Ranking in May this year following a spectacular freshman season that brought three victories and record nine top 5 and 10 top 10 finishes. She has since taken her tally to four collegiate individual wins and is currently in position to represent Ireland in the Rio Olympics having spectacularly proved herself against the professionals this summer. Playing on an invitation from the Ladies European Tour, she finished second, just a shot behind American Beth Allen in the ISPS Handa Ladies European Masters at the Buckinghamshire in May. She won three events last season, the Darius Rucker Intercollegiate, the ACC Championship and the SCAA South Bend Regional and was leading qualifier for the British Ladies Amateur Match Play Championship at Portstewart. She also represented Great Britain and Ireland in June at the Vagliano Trophy Match against the Continent of Europe in Malone and played for Ireland at the European Team Championships in Denmark. Leona Maguire sensationally captured her third title of the season to send Duke in the NCAA finals and edge closer to becoming world No 1. Ireland’s Leona Maguire has won the Mark H McCormack Medal as the leading women’s player in the 2015 World Amateur Golf Ranking. Slieve Russell’s Leona Maguire is the world’s fourth best amateur according to the new Women’s World Amateur Golf Ranking.